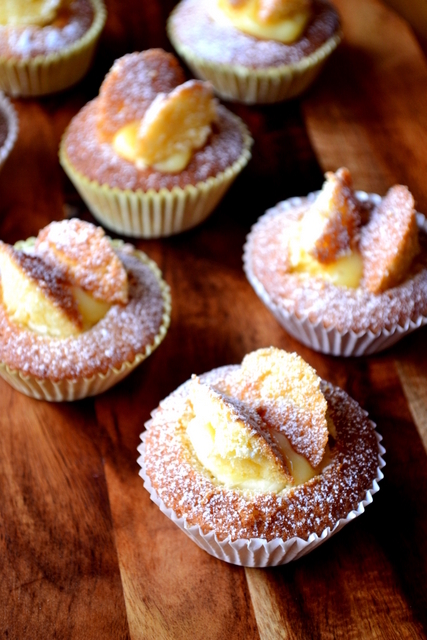 Filled with a spoonful of buttercream and a dollop of zesty lemon curd, these Lemon Curd Butterfly Cakes are a delicious teatime treat. So quick and easy is this recipe to whip up, you’ll barely notice that your buns have flown off the plate. Perhaps literally. 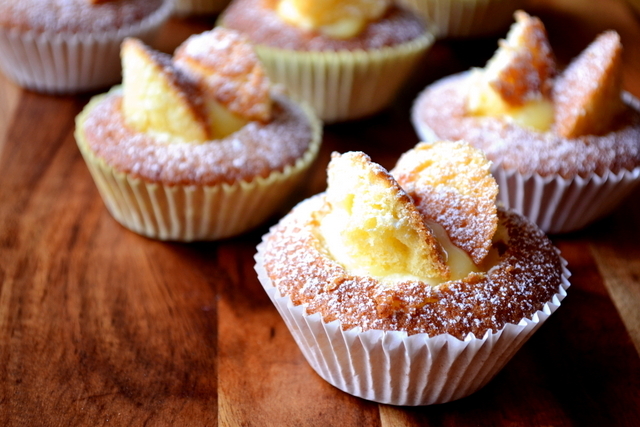 Everyone knows how to make butterfly cakes, but it’s the filling that’s important. The sweet, creamy buttercream contrasts beautifully with the tangy homemade lemon curd, making for a surprisingly complex flavour. 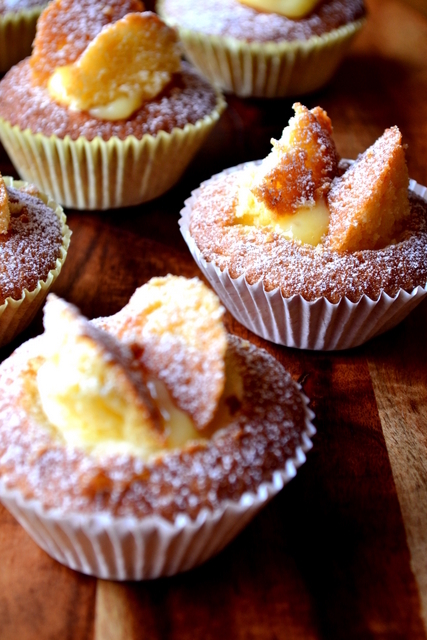 Of course, these lemon curd butterfly cakes are suitable for children’s parties. But you’ll find they’re also very much at home adorning a cake stand, beside that slightly over the top afternoon tea you indulge in on a Saturday. Though pretty, butterfly cakes are the very definition of frugality. Effortlessly decorated, you’ll have no need of a shed full of icing to mask all those little baking sins. In baking all the money is spent on decoration. Remove it if possible. Preheat the oven to 200C/180C(fan) and line a cupcake tin with 12 paper cases. Cream together the butter and sugar until light and fluffy. Beat in the eggs one by one until fully incorporated. Gently fold in the flour and lemon zest. Divide the cake batter equally between the paper cases and bake for 15-20 minutes until golden brown and cooked through. Set the baked cakes aside to cool. Beat together the remaining butter and icing sugar to make your buttercream. With a knife, scoop a circular cone out of the top of each bun. Cut these in half. Fill the hole with a little buttercream, followed by a little lemon curd. Top each cake with the halved cones (as pictured) and dust liberally with icing sugar. Cost: Despite needing two separate filings, these butterfly cakes require very little decoration or surplus ingredients. As such, these attractive little buns should set you back no more than about £2.50. I think these will be a great Spring treat to bring into my husband’s office! Thanks!! Nick, these look so cute and so perfect for spring! Bravo!!!! I want to wear the color of the custard! Thank you – they were great, light treats. Wow man, these look like THE perfect spring treat. I’m going to make these as soon as possible! We all know you are, Suzanne. Butterfly cakes were the mainstay of every birthday party when I was a child. 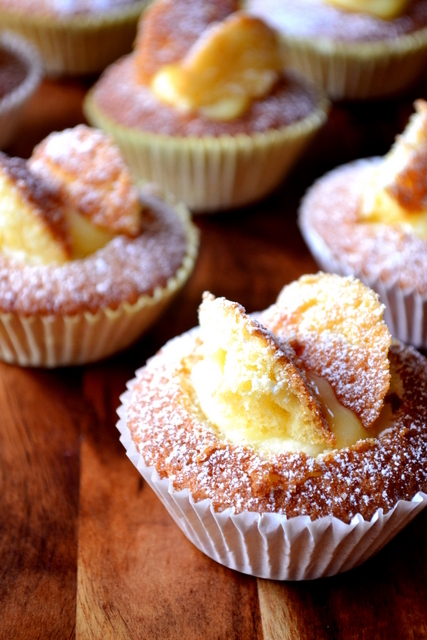 Recently I have looked at the craze for “cupcakes” and wondered when we forgot how to make simple, delicious and beautiful fairy cakes (for that was what we called them). Thank you for reminding us that the simple way is often the more fulfilling way. I know – I hate all of these fancy cakes. It’s too much. Back to basics! Thank you very much. Yes, it seems it is a British thing. If only I was that creative. You should make them again – relive it! We don’t have butterfly cakes in the US, but they’re simply beautiful! Give them a go, they’re great for kids parties. Thanks, Kathy – have you ever had butterfly cakes? Beautiful – they remind me of going to children’s parties when I was little. Go for it! Very delicious! oh I can never succeed to make decent butterflies on cupcakes, but yours look just the way they should! you nailed it! Thank you – In was very delicate with these! Hi Nick, I am totally intrigued and enthralled by these beautiful little cakes! I am in the U.S. and this is the first time I have heard of a butterfly cake. I will be trying my hand at them very soon:) However, I do have one teensy question. To ensure I am preparing the cake batter correctly…I weigh the eggs once out of the shell, then weigh the flour, sugar and butter to equal the weight of the eggs? Thank you! Sorry for the late response! You weigh the eggs in their shells – very important. Then weight the rest equal to that. Thank you Nick, happy baking!! The butterfly buns were lovely – my mother’s favourite and a lovely reminder of her. Thank you so much.